Distinguishing Characteristics: White female. Dark hair. Anna Rosa Liva, then aged 30 years, was an Italian national who was in Australia, travelling. She was last seen alive walking north along Hutchinson Street, Coober Pedy, SA around midday on Thursday 28 November 1991. She had just visited the Coober Pedy Council Office. She did not attend an appointment at 2.00 p.m. for a tour. Ms Liva has not been seen since this time. Anna was an experienced traveller and was backpacking around Australia. Her disappearance was out of character. Police suspect she has been murdered. If you have information that may assist police in Anna's disappearance please call Crime Stoppers on 1800 333 000. AS A place to dump bodies, Coober Pedy is hard to beat. Abandoned mineshafts stretch in a 40-kilometre radius around the town. Just 100 metres below the surface lies an unmapped labyrinth of tunnels, blast holes and dead ends. As one local says: ``If you want to bury someone out here you just drop them down a hole and follow them up with a stick of gelignite. There are a million shafts and it's impossible to search every one." Murder isn't new to Coober Pedy. Locals will tell you that plenty of arguments have been settled with explosives in the past. But this time it's different. This time the possible victims are those of two young women. And their suspected murders have released a flood of anger and grief in the town. Karen Williams, a local Aboriginal girl aged 16, was the first to vanish. As far as police know, she was last seen at 5am on 4 August 1990 by a young local boy. The pair had been out with a group of friends, dancing at the local disco. 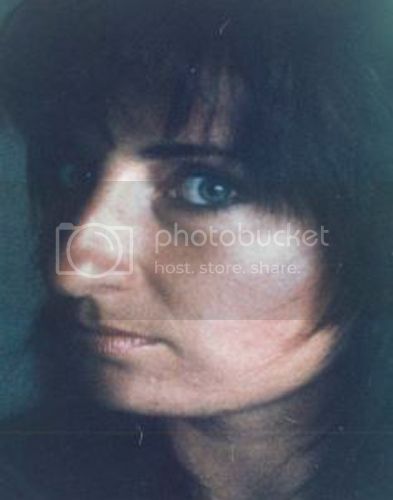 An attractive outgoing teenager, Karen was living at home and studying in a local TAFE course. There was no reason for her to leave town unexpectedly. The local Aboriginal community has contacted communities all over Australia but she has not been seen since. Anna Rosa Liva disappeared 14 months later in equally mysterious circumstances. The 30-year-old Italian tourist arrived in Coober Pedy by bus at 10pm on November 27, 1991. Next morning she booked a 2pm tour of the opal fields and headed off to the council chambers to inquire about local church services. As a Jehovah's Witness, Anna was thrilled to discover that the tourist information officer was her resident pastor. They talked, and she promised to attend a meeting scheduled for 7pm that night. She walked out of the council building, on to the main street and was seen no more. When she failed to board the 10pm bus to Adelaide that night, a search of her room revealed a neatly packed suitcase containing her ID. Her passport and bank accounts have remained untouched and she has not contacted friends or relatives since. Unlike Karen's disappearance, Anna's has sparked a wave of police and media attention. Over the past six months, the closely knit community has been subjected to unprecedented scrutiny. Resentment peaked this week at a public meeting called by investigating police and attended by hundreds of residents. For the first hour the detectives fielded accusations that the town of Coober Pedy itself had been put on trial by the media and that police had helped them. ``We're not murderers here: if anyone did it they came from outside," said one man, echoing the thoughts of many others.``Why are you going on TV and calling it murder, why are you saying we know something about someone here we aren't telling? Do you know what this is doing for Coober Pedy?" His anger and disbelief echo throughout the town, bespeaking something more than the usual resentment at media inaccuracy and intrusion. Behind such feelings lie a deep frustration and fear about the way life in Coober Pedy is changing. A collection of corrugated iron, stone dugouts and red dust, Coober Pedy from the air looks like rubble swept out to the edge of the desert. The sense of abandonment is heightened by the open-cut mines which ring the town, lending the surrounding landscape a surreal, lunar appearance. Since 1985 the isolation of Coober Pedy has been illusory. The sealing of the Stuart Highway, a long streak of bitumen running from Adelaide to Darwin, puts the town in reach of thousands of tourists _ and a new, transient class of resident. Most Coober Pedy residents settled in the 1960s and '70s, coming from all over the globe to try their luck in the opal fields. Forty-four nationalities co-exist in a population of 5000. Greek, Italian, Serbs, Croats, German, Anglo-Saxons _ even an Eskimo, the locals proudly point out in the pub.The town is now dominated by a core of long-term residents proud of the way their town has grown and flourished in such a harsh environment. Eric Malliotis, an ebullient Cypriot, is the mayor. When it comes to government he takes his cue from the landscape: less is more. Over a beer at the fish restaurant he runs with his family, he warns me that he punched the last journalist who denigrated the town. Law and order, he says, is dispensed in the same way. ``It's safe here; you can walk about and no one will touch you. We don't need the police. If a woman is raped everyone knows and we get the man: I'd kick his head like a football." But the Wild West tag no longer sticks. There are few Charles Bronsons at the local pub. The reality is an ageing resident population of miners who are losing a two-year battle with the recession. The price of fuel and explosives has jumped, making it increasingly costly to work claims. And even when opals are found they are not fetching the prices they have in the past. The town's sense of identity is being eroded in other ways. A growing transient population _ mainly single men who stay one or two years _ is regarded with suspicion by older residents. Coober Pedy is no longer a town where everybody knows everybody. The disappearances have exposed many of these underlying tensions. The most common reaction, relayed through rumors, is denial: they don't want to admit the possibility that the girls were murdered by someone in the town. Ricky, a young Italian boy who was born in the town, repeats the most common rumor. Karen Williams, the Aboriginal girl, was, he says, killed in a panic by four of her own people. The police need not worry because the elders will deal with the boys. Anna Liva, the Italian girl, staged her own disappearance. Or perhaps Anna wandered into the minefields and fell down a shaft. Or maybe Karen simply took off with some friends. None of these stories is consistent with police evidence about the young women _ but they are retold with vehemence. Contrary to local rumours, the police believe the women were murdered: neither had a reason to leave town unexpectedly and both were close to their families. They say it is unlikely that either fell down a mineshaft. Karen knew the area well and as I saw, contrary to popular perception, the mineshafts are marked out by big mounds; you'd have to be blind drunk to fall into one in broad daylight. Ricky's uncle, Sergio, a miner who came to Cooper Pedy 32 years ago, tells me with conviction that an out-of-towner must be responsible. ``Truly it's someone outside. I know this place is wild _ I call it the mental hospital without a roof _ but it's not bad." Anger in the Aboriginal community has a different source. 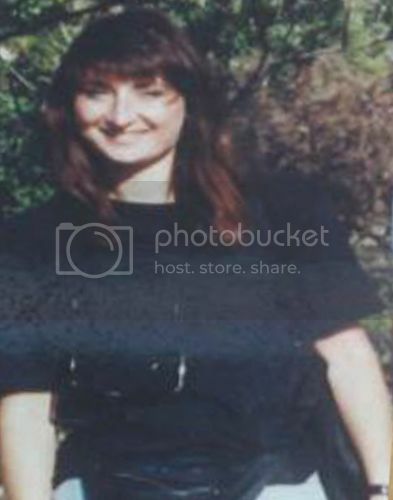 The search for Anna Liva has been extensive: locals conducted a dangerous three-day search of mineshafts and police were prominent. In contrast, the search for Karen was left largely to Aborigines. One community member, Mr Robin Walker, said: ``It's very hard for us: we are part of Coober Pedy but when we saw the helicopters and the dogs we said: `Why didn't they do that for us?' "